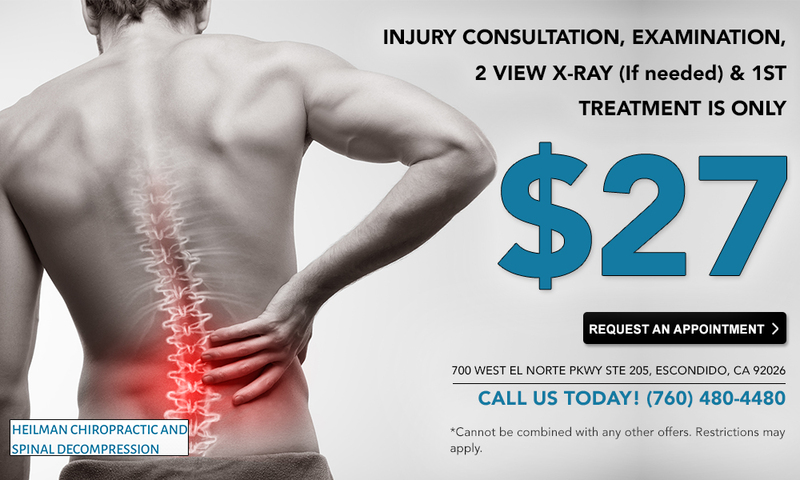 Escondido, CA Chiropractor back pain and sciatica helped by using spinal decompression. If you are experiencing severe back pain you may also have a “disc herniation”. Whereas the spinal adjustments may help push the bones of the spine back into place other treatments such as spinal decompression help to reduce the disc swelling and make the injury heal faster. This video explains all about it.